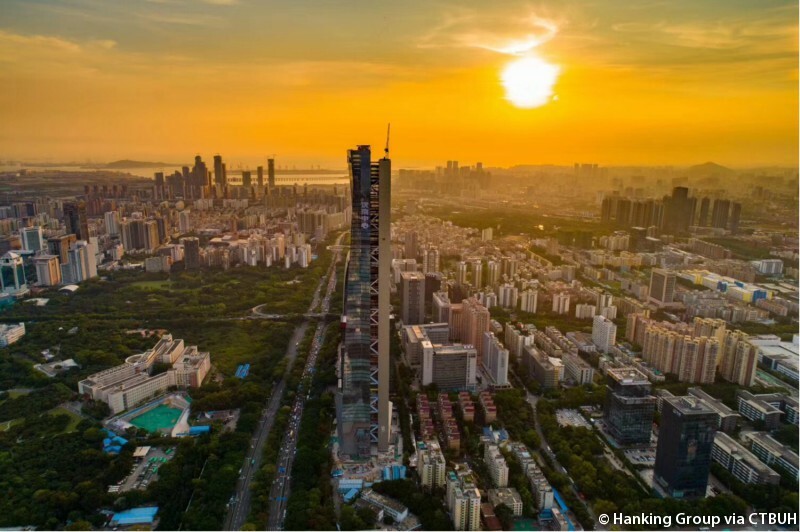 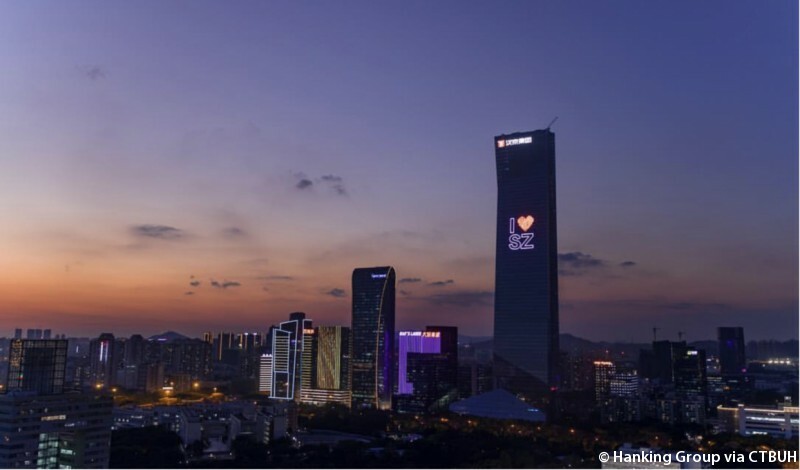 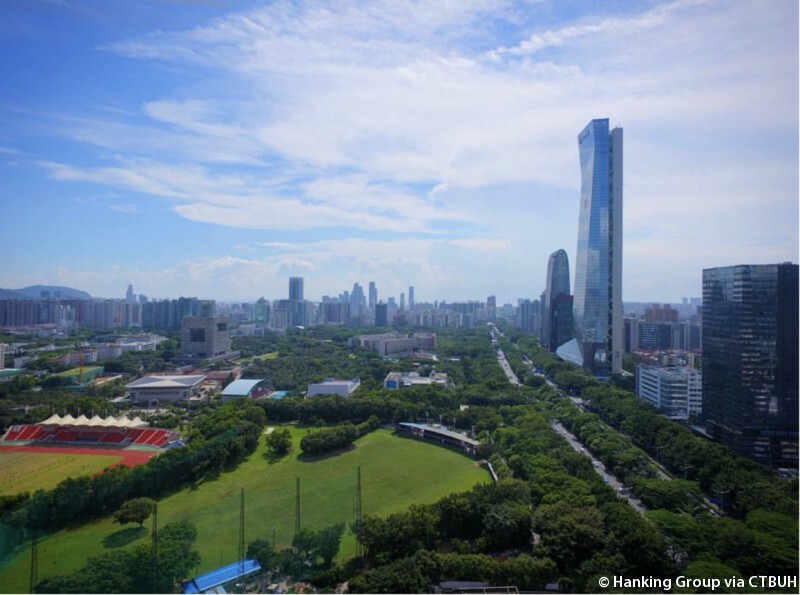 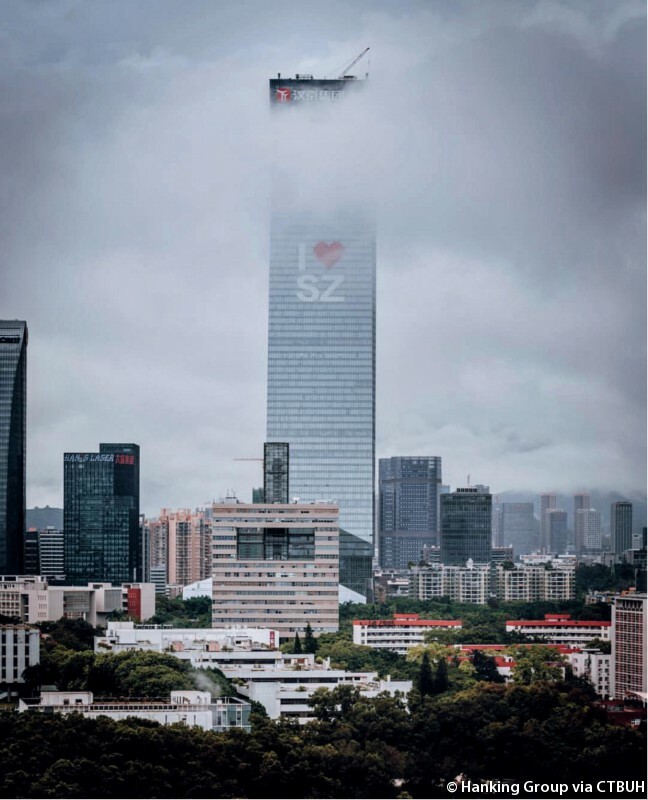 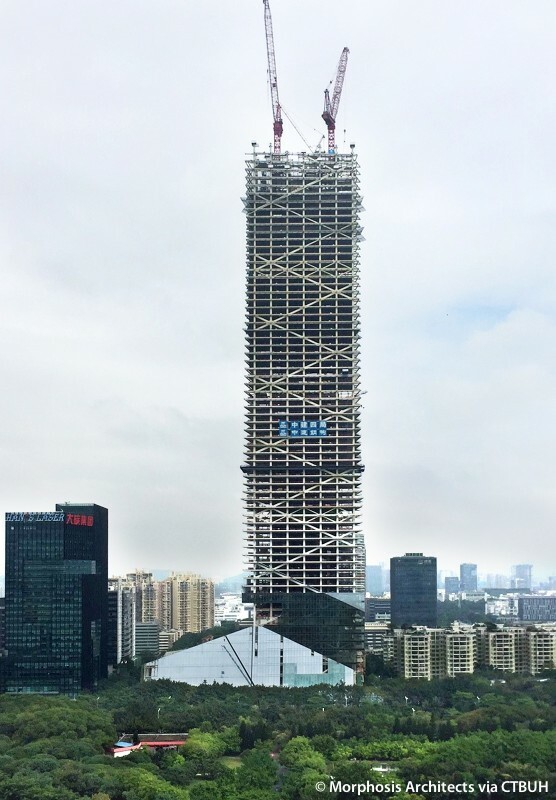 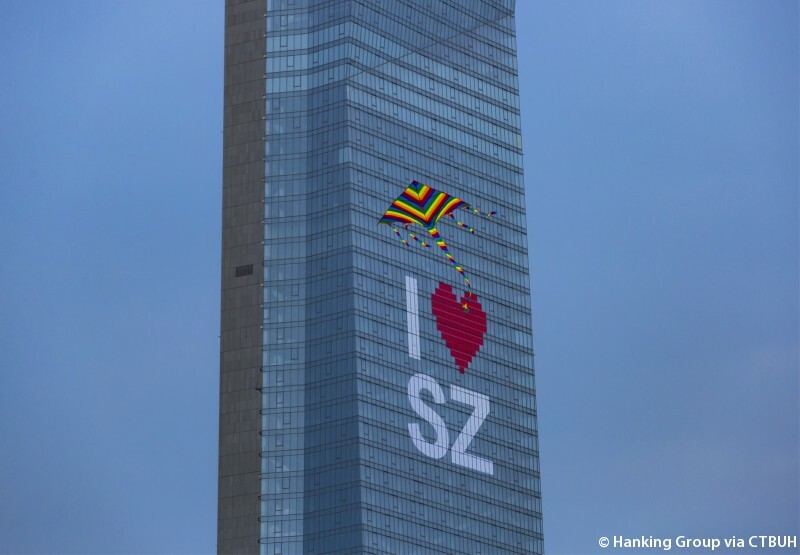 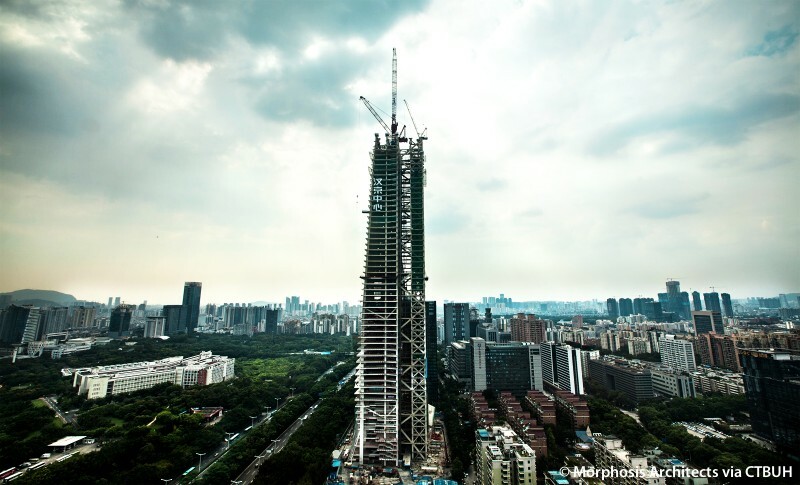 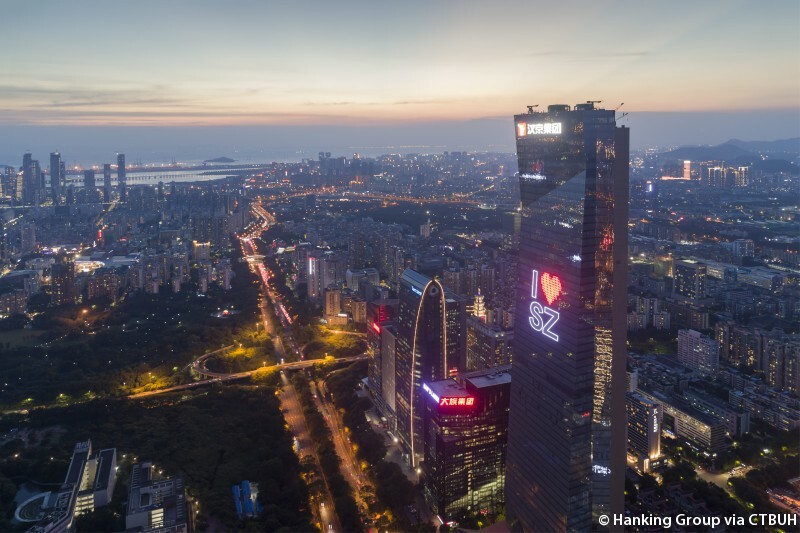 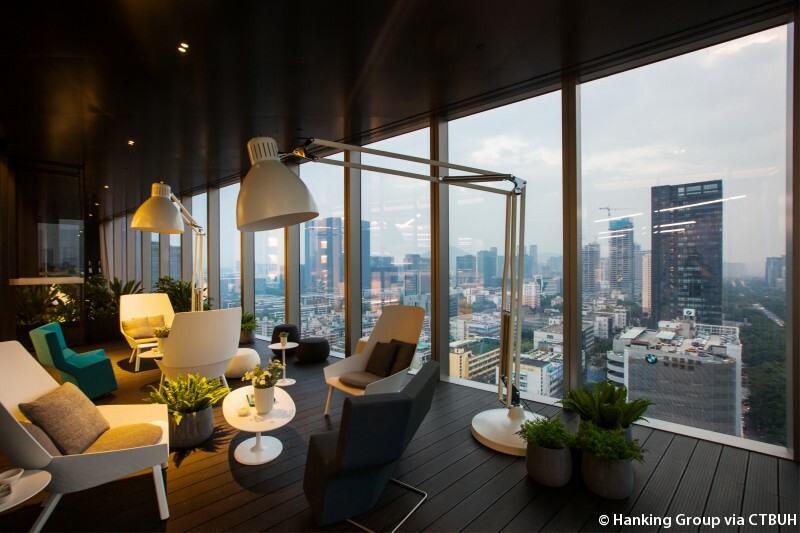 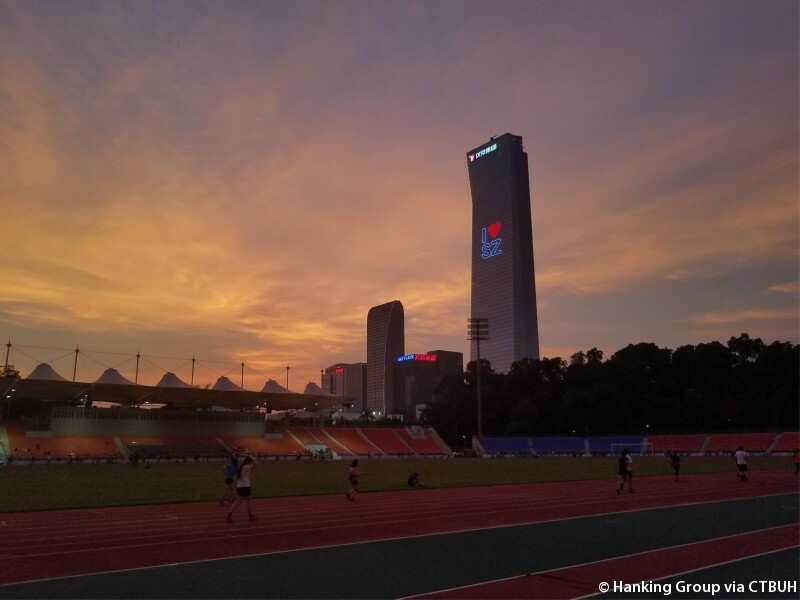 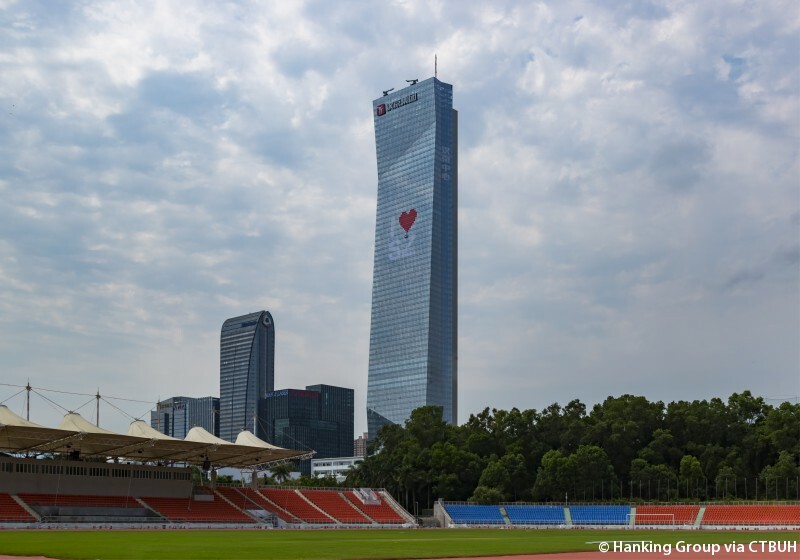 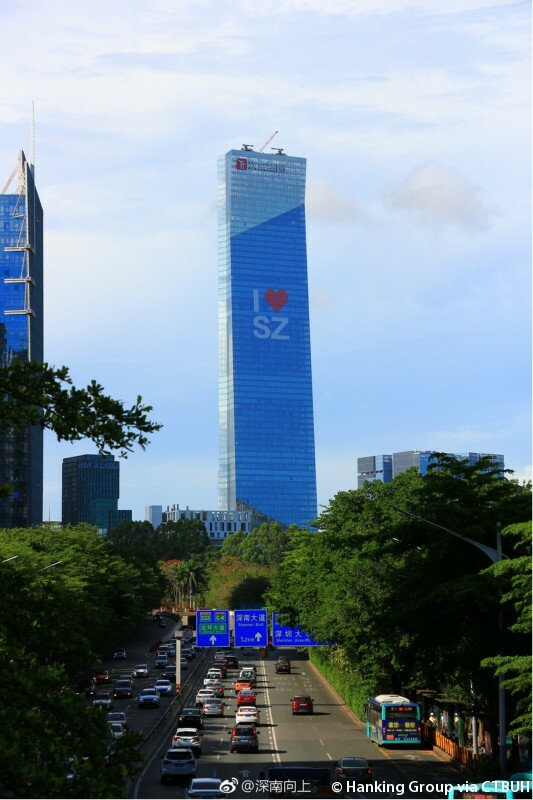 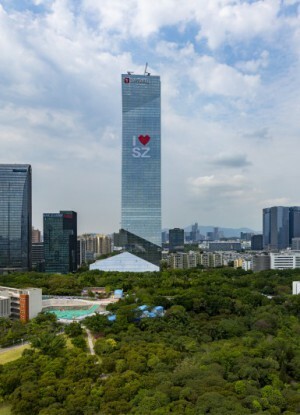 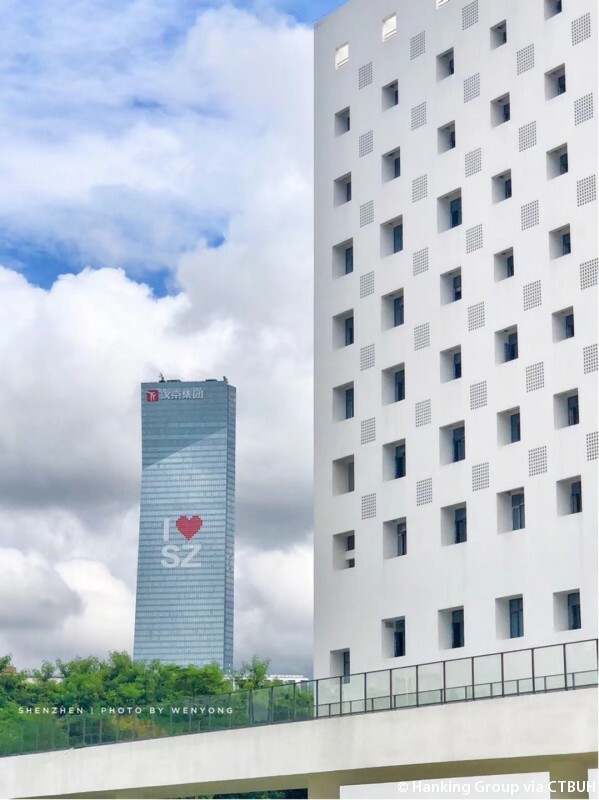 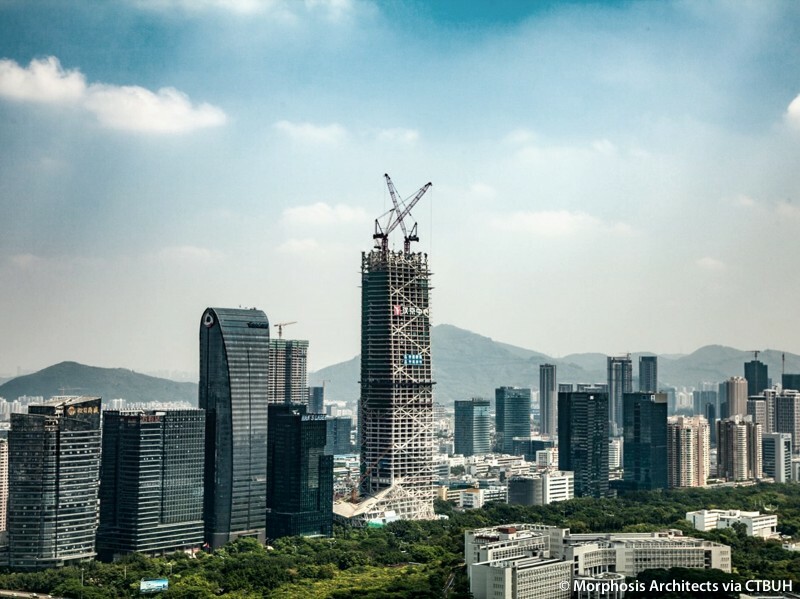 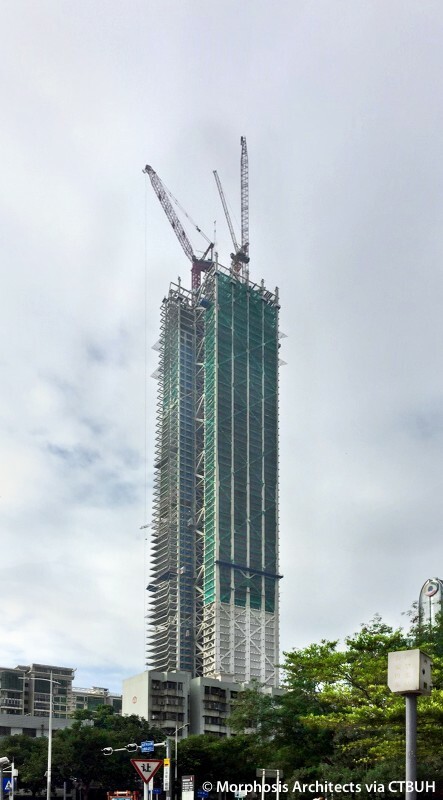 • Design Parsons Brinckerhoff Consultants Private Limited;	Stantec Ltd.
Hanking Center Tower adds a new dimension to Shenzhen’s skyline. 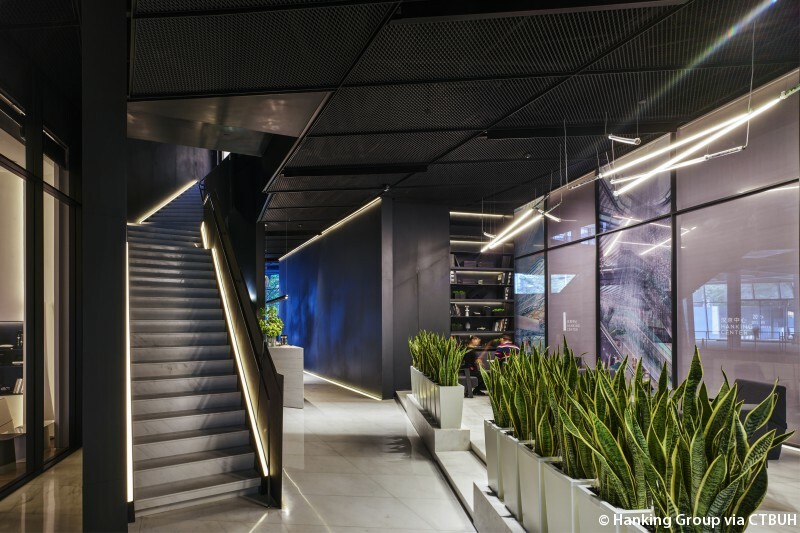 It reconsiders the conventional commercial office building through an innovative approach to circulation, social systems, and workspaces. 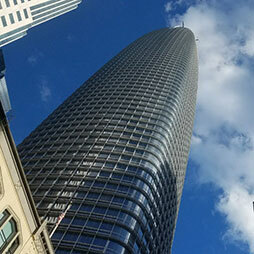 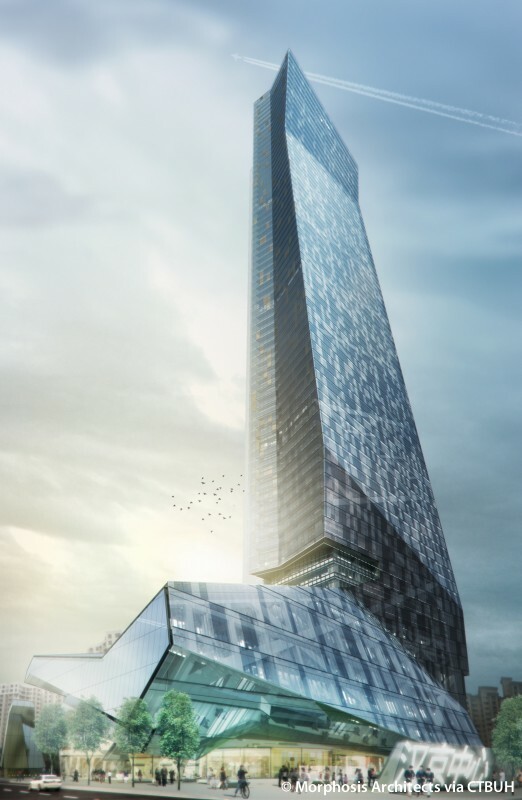 The tower is comprised of office space, with high-end retail and dining options in the podium. 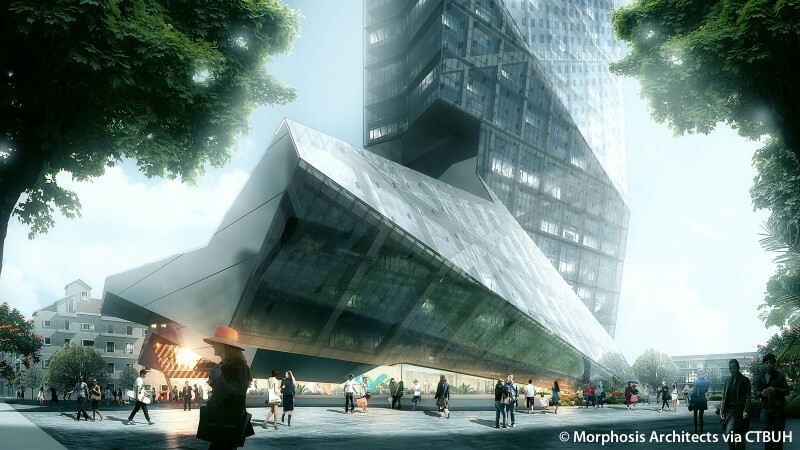 The Center utilizes folded angles to elegantly merge public components in the podium with private commercial space in the tower. 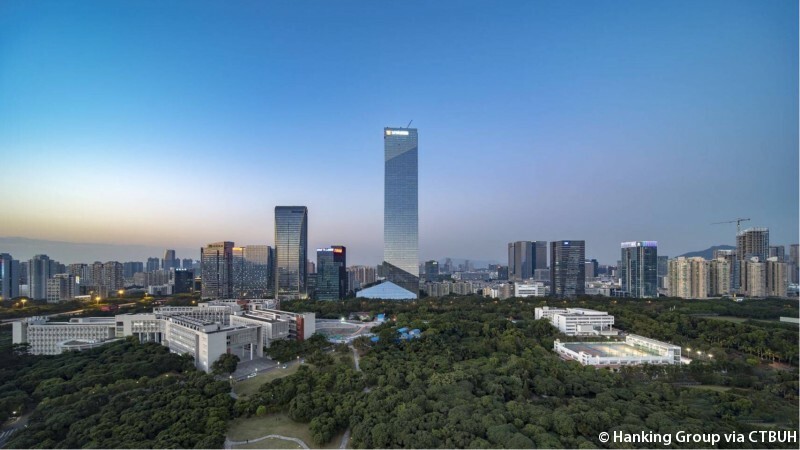 A grand plaza and hardscape around the exterior serves to anchor the new landmark and encourage activity nearby. 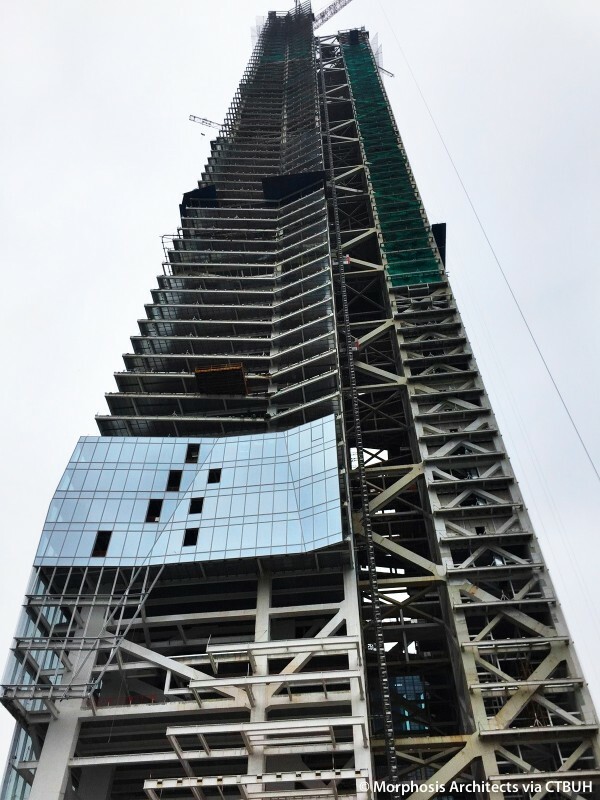 The tower’s unique steel structural system offsets the primary movement and service cores to the exterior of the floor plate. 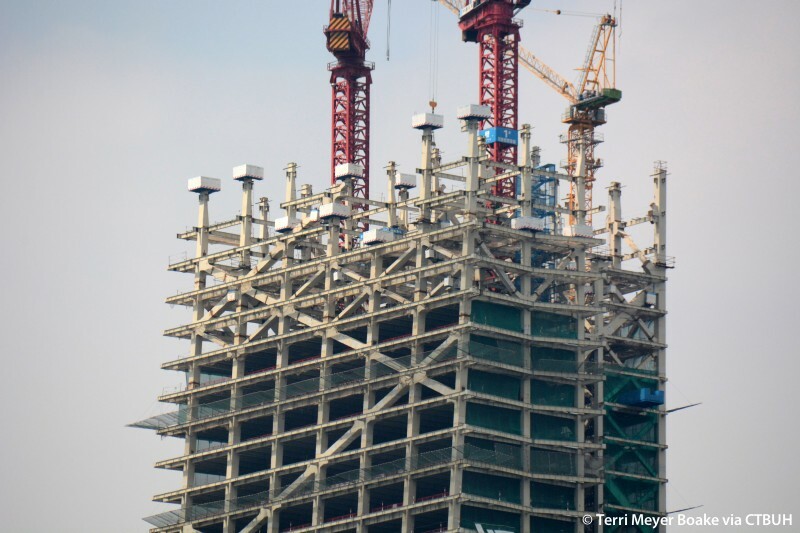 Shadowing the offset circulation core, two secondary cores in the body provide structural reinforcement. 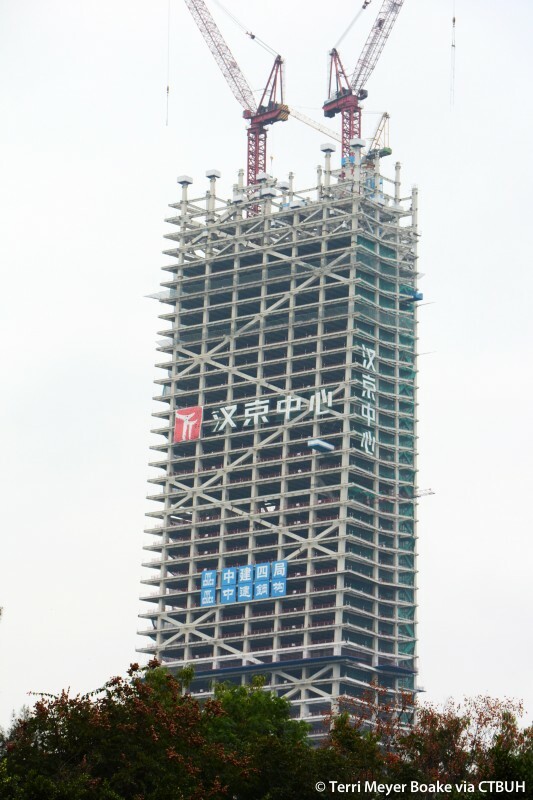 A series of sky bridges and diagonal mega-braces connect the offset core to the main tower. 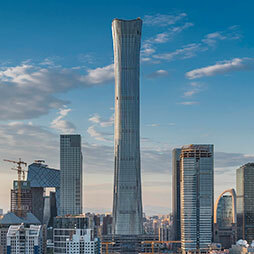 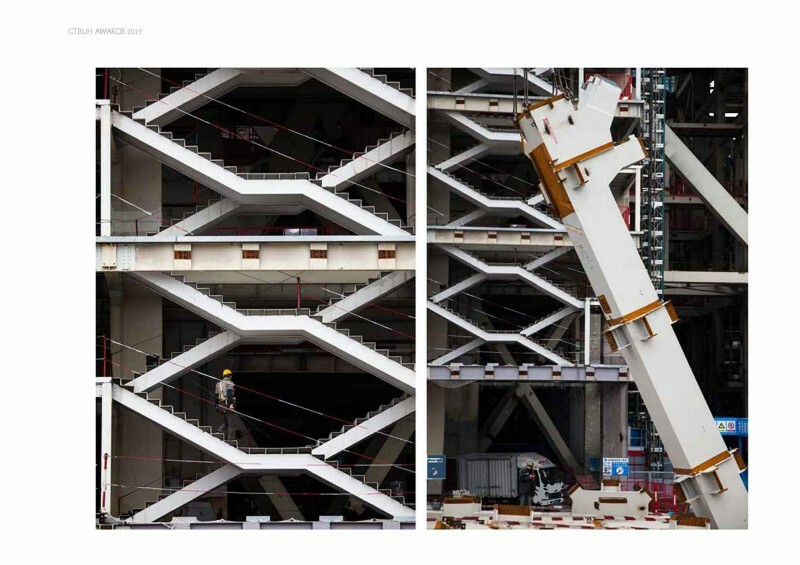 Special horizontal ties and slab diaphragm bracing were provided where the columns on the south face “kinked” to tie the necessary stabilizing forces to the tower’s overall lateral load resisting system. 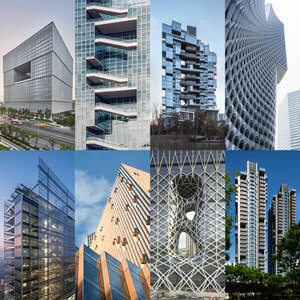 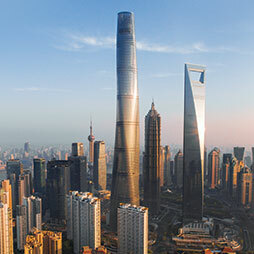 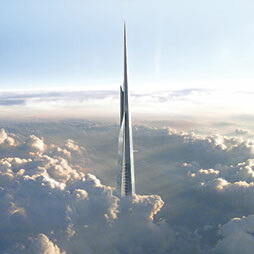 Extensive wind tunnel testing as well as non-linear performance based seismic design studies were conducted to verify the performance of the tower. 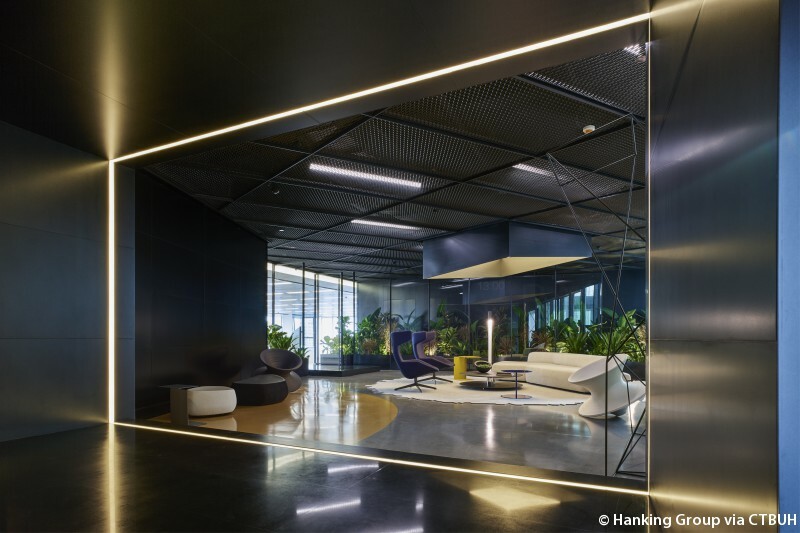 Five communal skygardens, glazed lobbies, and a sunny atrium in the building’s core serve to connect separate elements of the building, and provide a communal hub for tenants. 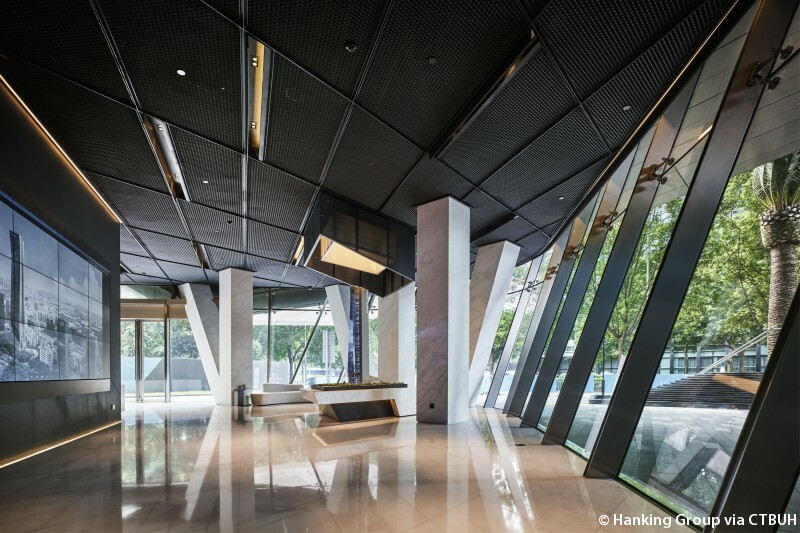 Circulation and amenity areas gain natural light and views over the city to create a vibrant public space. 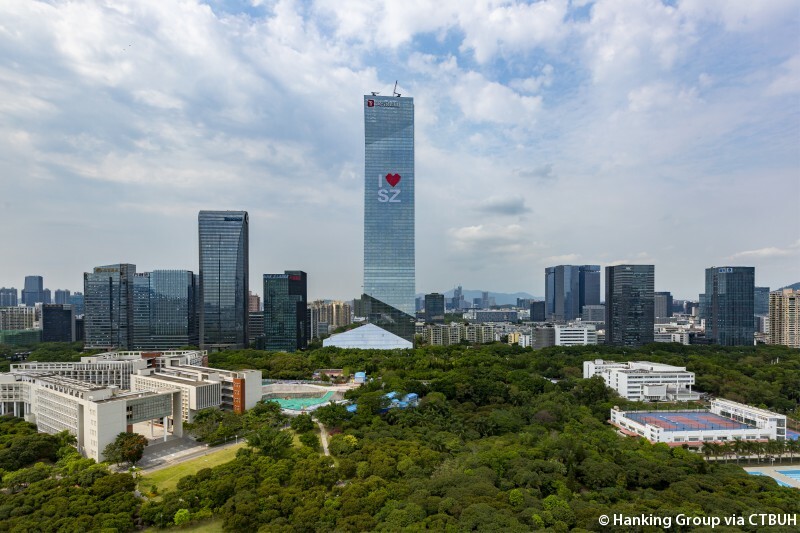 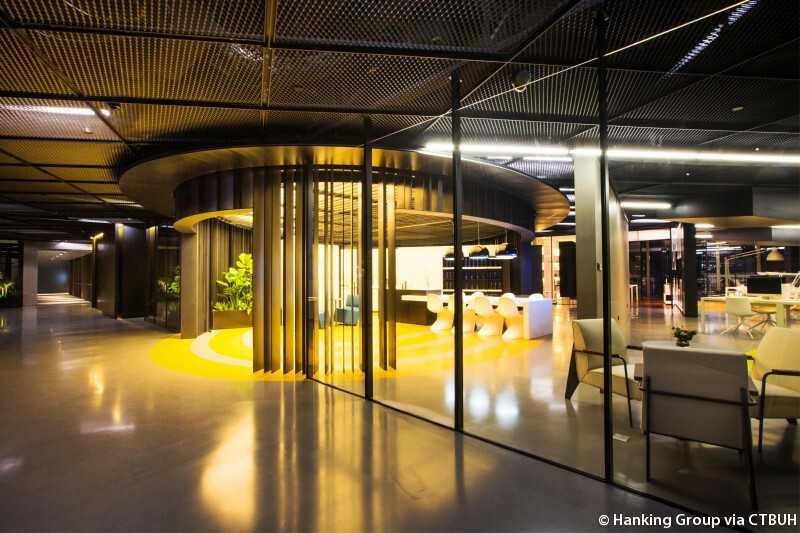 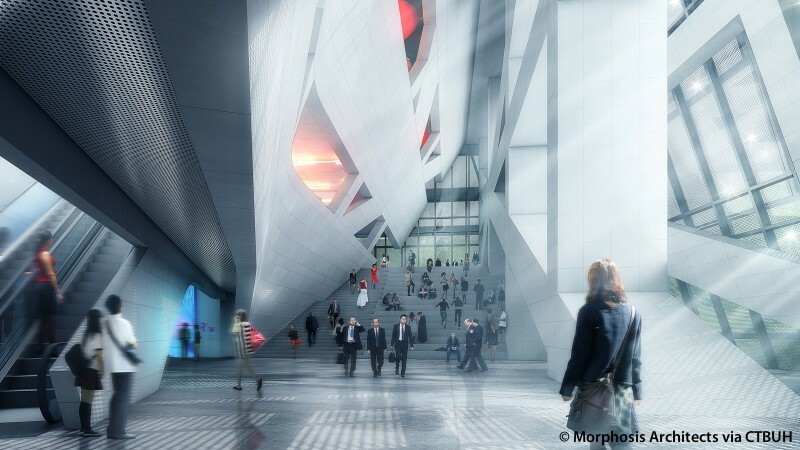 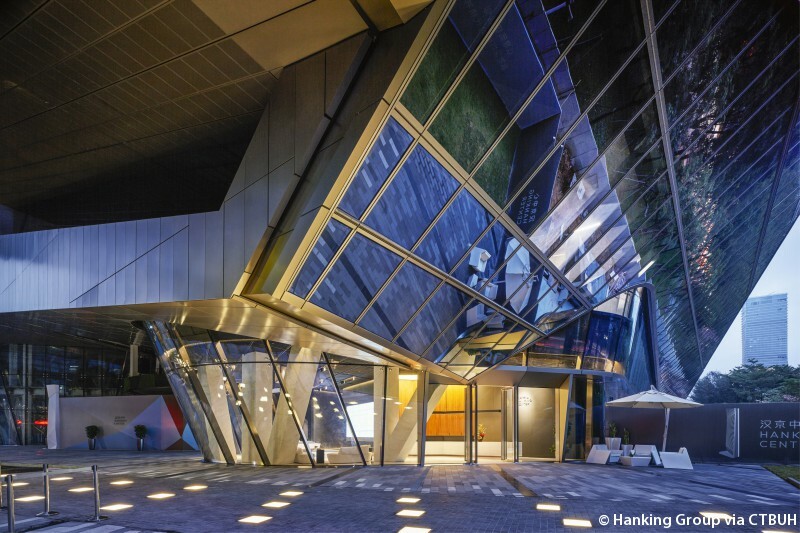 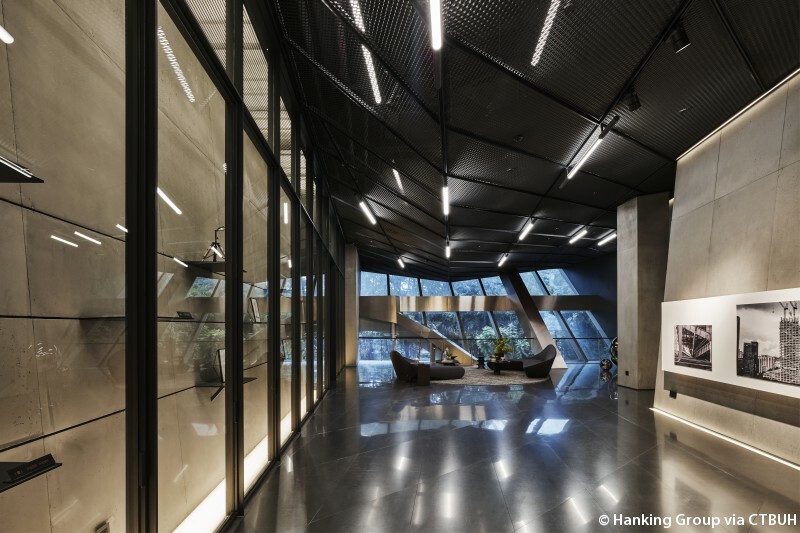 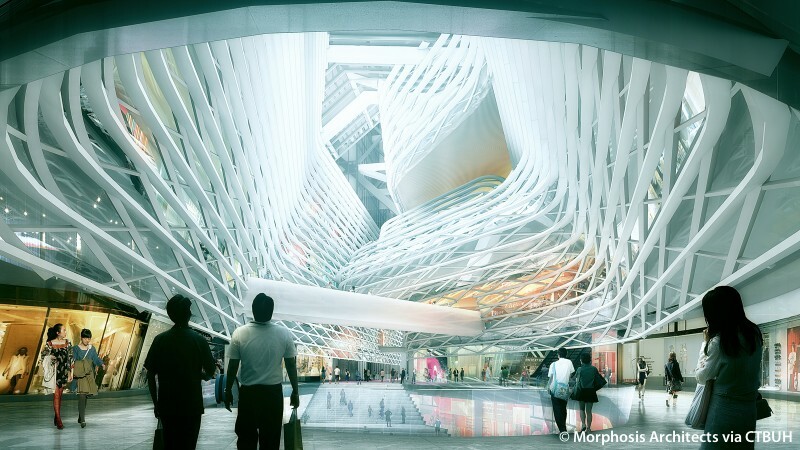 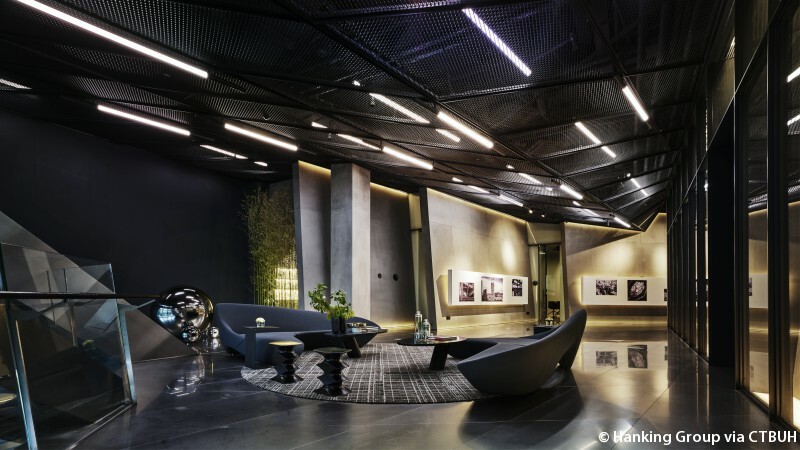 As a new icon for the growing high-tech zone in the Nanshan neighborhood, the Hanking Center Tower was conceptualized to house emerging tech companies. 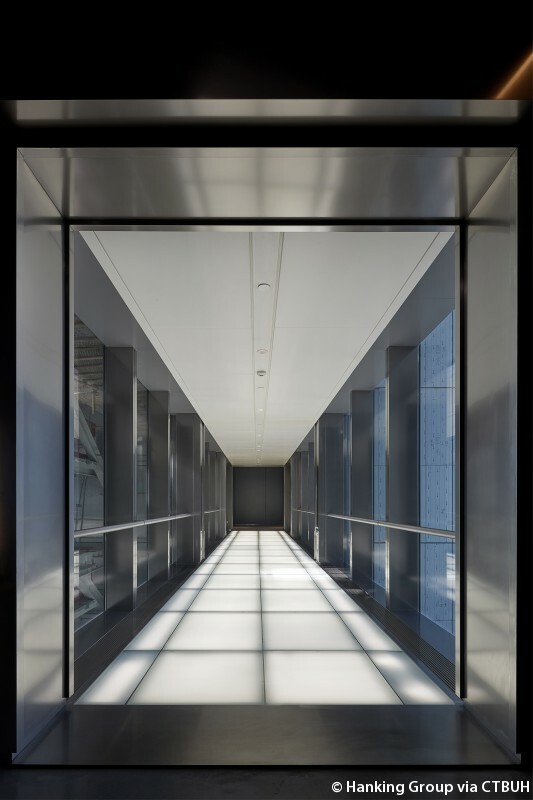 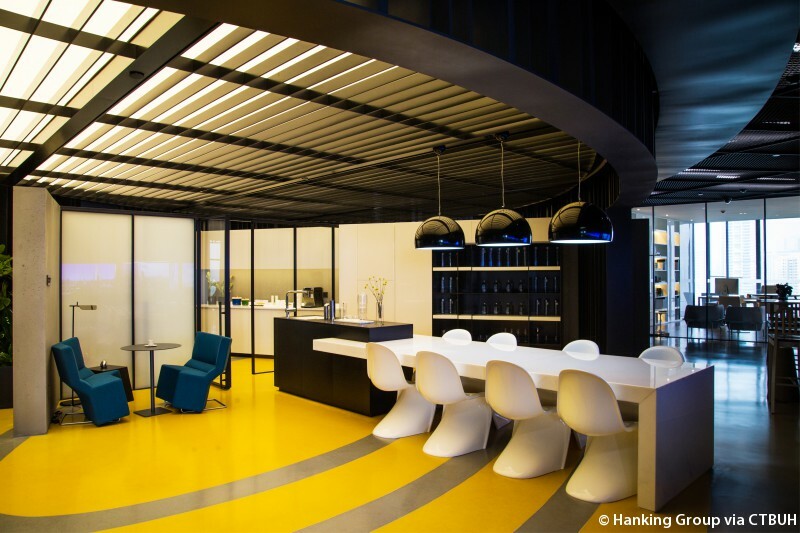 The open floor plates, made possible by the tower’s offset core, greatly amplify the flexibility companies have in utilizing their space. 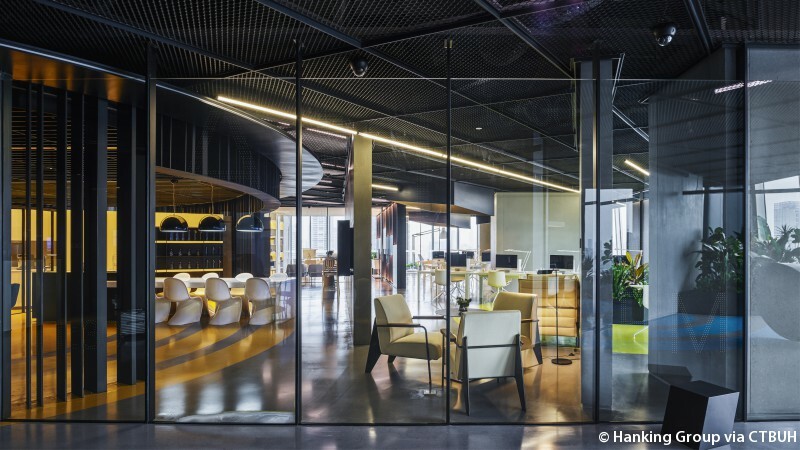 In addition, this form allows for work environments with more natural light and better air circulation to enhance comfort, health, and productivity.